To help develop Donegal creative industries, David delivered a keynote speech on creativity and business in Donegal, a county that is leading the way by developing its creative industries in the context of the county’s Strategic Action Plan for Creative Entrepreneurship. 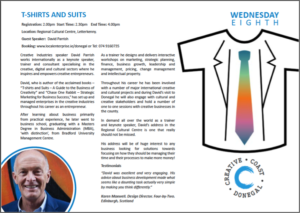 He was commissioned by the Local Enterprise Office Donegal through their Creative Coast Donegal programme as the creative industries guest speaker and business adviser during Enterprise Week. David was in Letterkenny from 06-09 March. David also delivered an interactive business training workshop for creative entrepreneurs in the county. His ‘Designing Your Creative Business’ workshop helps creative entrepreneurs to clarify their definition of success, identify their competitive advantage, and focus strategically on the best markets for their creative goods and services. David pictured with Michael Tunney, Ursula Donnelly and Liam Porter from the Donegal Local Enterprise Office. David spoke about how people can combine their creative talents with smart business thinking. Successful creative enterprises integrate creativity and business. 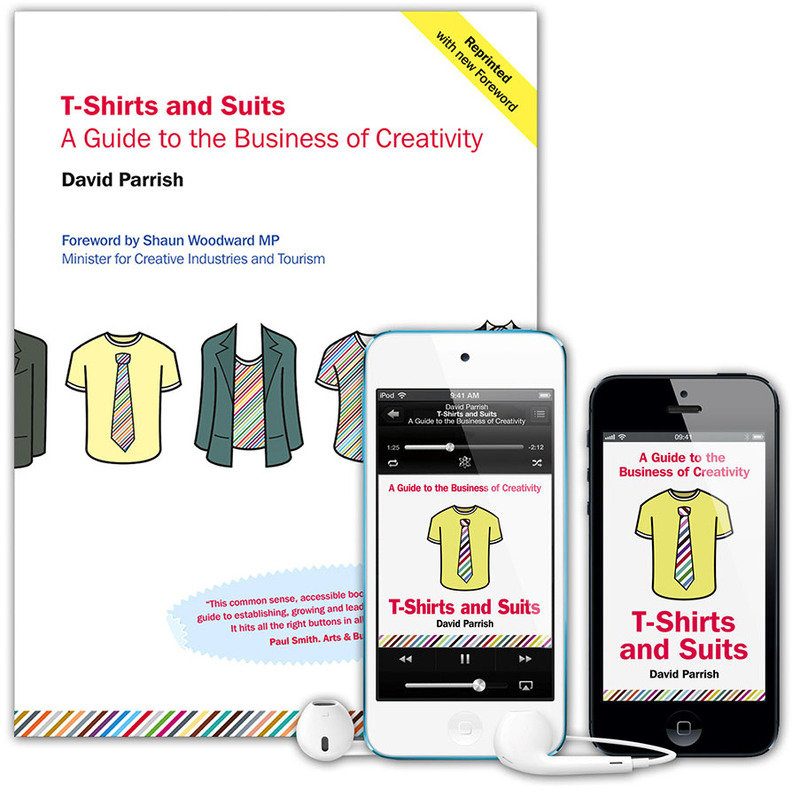 David’s T-Shirts and Suits® approach helps creative people (‘T-Shirts’) to use smart business thinking (‘Suits’). David’s presentation took place on Wednesday 08 March from 2.00 pm until 4.00 pm at the Regional Cultural Centre in Letterkenny. 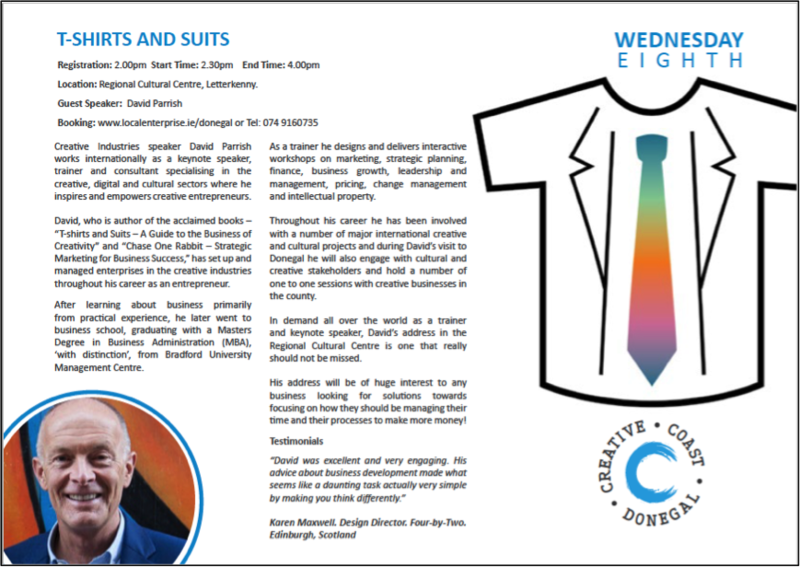 In addition, David gave a series of individual business advice sessions to several of the outstanding creative entrepreneurs in Donegal. Camilla Meegan. Partner. DNK Media Productions. David works internationally as a keynote speaker, trainer and consultant specialising in the creative, digital and cultural sectors where he inspires and empowers creative entrepreneurs. 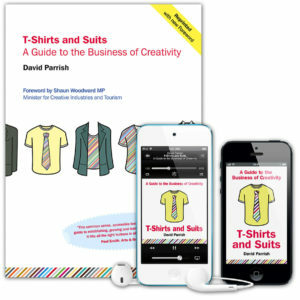 David’s book ‘T-Shirts and Suits: A Guide to the Business of Creativity’ is a practical handbook for creative entrepreneurs to refer to and find information, examples from successful creative businesses, and practical tips about using powerful business ideas in a creative context. It’s a creative business guide for entrepreneurs in the creative industries and creative economy. This internationally-acclaimed book is available as a paperback, free eBook and Audiobook. It has been published in translations in nine countries around the world. • Develop a shared vision and identity to be realised for the creative sectors in Donegal. • Provide a focal point for information on business supports and a ‘live’ profile of the creative sectors to enable exchange of ideas and stimulate new opportunities. • Deliver appropriate interventions and investment to support creative enterprises through collaborative action by different support agencies active in economic development. • Deliver tailored courses and supports to strengthen creative sectors entrepreneurship skills at local area based levels. • Stimulate demand for the creative sectors services and products through promotional and marketing activities, particularly in current cultural tourism, sports and food initiatives. • Enable cross-sectoral collaboration and ‘creative partnerships’ between creative entrepreneurs industries and education institutions to foster a pipeline of emerging talent. • Seek cross border opportunities at European levels for better access to finance, to deliver supports for innovation and to strengthen international trade and exports, enabled through smart technologies. 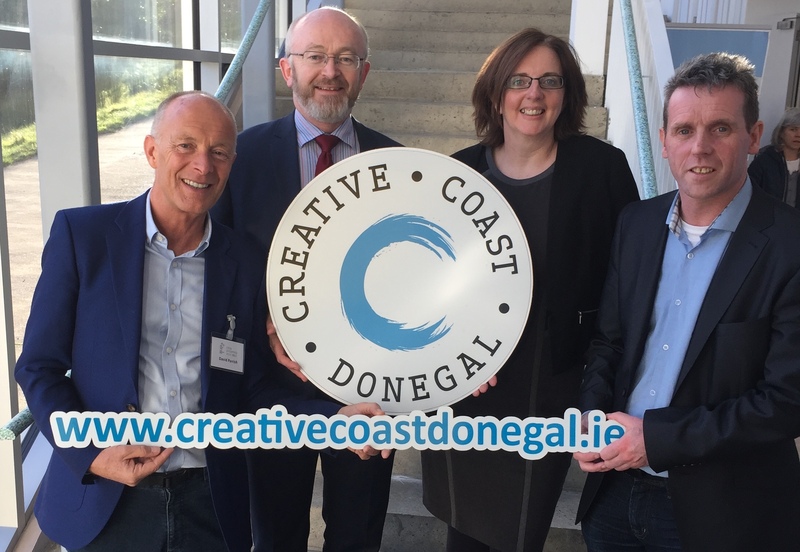 • Develop niche clusters of excellence distinctive to Donegal to catalyse a critical mass of enterprises in creative sectors, such as creative content, music, textiles and language, and to inspire creativity across the community. • Stimulate employment opportunities and connections between creative sectors, other business sectors, and within public services in the County, to better enable creative innovation in products and services. As a trainer he designs and delivers interactive workshops on marketing, strategic planning, finance, business growth, leadership and management, pricing, change management and intellectual property. Throughout his career he has been involved with a number of major international creative and cultural projects and during David’s visit to Donegal he will also engage with cultural and creative stakeholders and hold a number of one to one sessions with creative businesses in the county. In demand all over the world as a trainer and keynote speaker, David’s address in the Regional Cultural Centre is one that really should not be missed. His address will be of huge interest to any business looking for solutions towards focusing on how they should be managing their time and their processes to make more money!